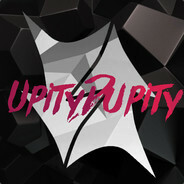 In-Game Name: Upity Steam Name: UpityDupity SteamID: STEAM_0:1:129358430 Are you a Moderator+? Yes, I just just transferred from MilRP to SCPRP. How often are you on TeamSpeak? I am on TeamSpeak whenever I'm on my computer. Do you have a working quality mic? Yes. What timezone are you in? EST Why would you want to join our Support team( 100 words+) I would like to join the support team because whenever I am not on the server it gets kind of boring, so I would like to be able to do something enjoyable according to the people I have asked. I would also like to join the support team because I would like to help people in the community, from providing a warm welcome and a Teamspeak tag to helping them troubleshoot their problem in game/on the servers or on the forums. Mostly I would just like to help people as it makes people happier and it also makes me feel happier. How do you think you could affect support staff in a positive way? I feel I can affect the support team in a positive way by helping in any way possible like covering the support channels so other support staff can take a break or just be a nice and positive person. How would you greet someone that has a problem in one of our support channels? To greet someone that has an issue in a support channel I would usually say: "Hi, my name is Upity! What is your problem currently?" and I would just listen closely and try and help them to the best of my abilities. Have you read our rules and do you promise to uphold all those rules to the best of your ability? Yes. NOTE: I am mostly in SCPRP and MilRP channels. Aww why am I a stand in? Alright, I am just dealing with this roster fiasco currently. I need to find out everyone who is in MTF so that is why this is up. I'm doing this so I know everyones callsign. Closed This application is being closed because I am already Commander. +support Active Cool dude Would be a good replacement for me as MAJ.